In England, it was once said (by Voltaire), they kill an admiral from time to time, ‘pour encourager les autres’. In Saudi Arabia, it seems, they apply this policy to poets. A perhaps perverse way of reading this is that poetry has a much higher status in the Arabic-speaking world than it does in the West. It is an important medium for expressing social and political concerns. When the Palestinian poet Mahmoud Darwish died in 2008, thousands attended what was in effect a state funeral in Ramallah. In the UK we have a Poet Laureate, but in Palestine they have a national poet that nobody needs to appoint. Ashraf Fayadh is, at 35, a noted poet and artist, an international promotor of the art and culture of Saudi Arabia and a leading member of the young Saudi art scene. He has been involved in getting Saudi art work shown at the British Museum, and has connections to the Tate Modern. As recently as 2013 he co-curated a Saudi art show at the Venice Biennale. But by January 2014 Fayadh was in prison, where he has been for the last two years. This is not the first time that a Saudi poet has fallen foul of the powers that be. In 2012, Hamza Kashgari, a poet and journalist, was accused of insulting the prophet Mohammed in three online tweets. The then king Abdullah ordered him arrested ‘for crossing red lines and denigrating religious beliefs in God and His Prophet’. Kashgari tried to reach political asylum in New Zealand, but the long legal arm of Saudi Arabia had him extradited from Malaysia. He spent nearly two years in prison without trial. 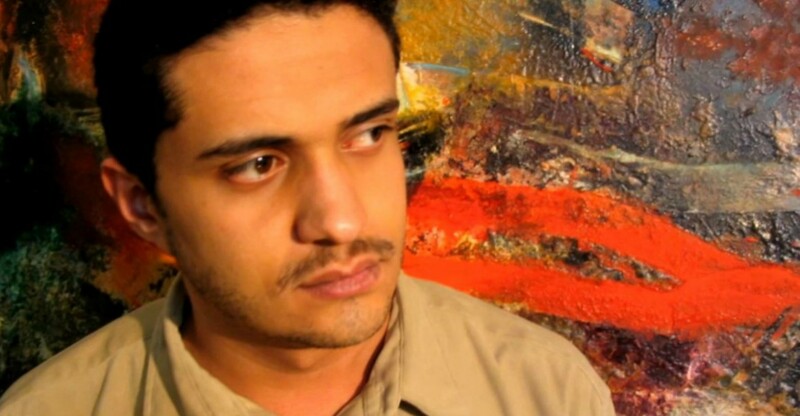 Apparently the problem for Fayadh started with an argument with another artist about contemporary art, while they were both watching a football match in a Saudi café, following which his opponent made a complaint to the religious police. The charges made against Fayadh, seemingly part of a personal vendetta, were that he had cursed Allah and the Prophet Mohammed, had insulted Saudi Arabia, and in 2008 had distributed a book of poems, Instructions Within, that promoted atheism. He was also charged with apostasy – abandoning his Moslem faith. In May 2014 he received a sentence of four years in prison and a total of 800 lashes. Fayadh appealed, but the court found that all the sentences were merited, and indeed ordered a new trial on the charge of apostasy, at which, without any legal representation, he was summarily found guilty. For this in November 2015 he was re-sentenced to be beheaded. After being told of the death sentence Fayadh’s father died of a stroke; he was not allowed to attend the funeral. Saudi Arabia runs according to Sharia law, as do quite a number of other countries. But Saudi Arabia is unique in that it does so in uncodified form, and without reference to judicial precedent. Add to this the fact that courts in Saudi Arabia observe few formalities; and that its first ever criminal procedure code, promulgated 15 years ago, doesn’t seem to affect what actually happens.… and what you get is in effect a Wild East legal system. The punishments available in the Saudi penal system include public beheading, stoning, amputation and lashing. More than 20 ‘crimes’ can merit capital punishment. Murder and treason of course. But as the list goes from adultery (and apostasy) to witchcraft, it takes in arson, atheism, carjacking, home invasion and homosexuality along the way. Executions are currently in a period of year on year increase. Indeed at the start of January, 47 executions were carried out in a single day, including that of the Shi’a cleric Sheikh Nimr al-Nimr. Undoubtedly such deaths are intended to send a message, one written in blood, to those who might in some way, even non-violently, challenge the regime. How the Saudi authorities thought the execution of a poet whose organisational activities do not extend beyond promoting Saudi art globally fits into this strategy is a mystery. There is one extra dimension in Fayadh’s case, in that he is a Palestinian born in Saudi Arabia, where his family took refuge following the takeover of their homeland. This puts him at multiple disadvantages in the country of his birth. He is stateless, and denied access to the benefits of Saudi citizenship despite never having lived anywhere else. Fayadh has said that his poetry collection Instructions Within is ‘just about me being a Palestinian refugee … about cultural and philosophical issues’. His poetry expresses powerfully the difficulties faced by Palestinians in exile, the sense of being threatened by erasure. Fayadh’s case highlights how vulnerable Palestinians continue to be as second or third class citizens not only in Saudi Arabia but in many Arab states. Palestinians have become one of the most vulnerable groups in the Middle East. Their on-going dispossession since 1948 and its continuing legacy are a blight on the conscience of their host countries, but also on those powerful states (the USA, the UK, the rest of Europe) who do nothing to rein back Israel’s continuing expansionist thrust. Saudi Arabia is one of Britain’s two pivot points in the Middle East, and Israel is the other. No British government has had the nerve to do more than wag a limp forefinger, or shrug helplessly, when either Saudi or Israeli human rights violations are forced to its attention. In the case of Israel, global civil society, and the cultural community in particular, are increasingly adopting cultural boycott as a lever to apply the pressure our governments haven’t the stomach for. So it has also fallen to the cultural community, here and round the world, to rise up in protest and despair about this assault on a good, principled and talented man. On 14 January, a ‘Worldwide Reading for Ashraf Fayadh’ took place across 122 events in 44 countries, organised by the International Literature Festival Berlin. The event at the Mosaic Rooms in London heard artists and poets including AL Kennedy, Selma Dabbagh, Ruth Padel, Peter Kennard and Stephen Watts read translations of Fayadh’s poems from Instructions Within, after readings in the original Arabic – a sombre occasion, but also infused with hope that this extraordinary international mobilization of support would have some effect. And indeed the Saudi authorities, although clearly tone deaf, did notice and pay attention to the clamour. On February 3rd, after 11 weeks under sentence of death, an appeal court reduced Fayadh’s punishment to ‘only’ 8 years and 800 lashes. The quality of Saudi mercy is showing signs of acute strain.